Commuting on BART, the Bay Area’s overcrowded, often filthy subway system, isn’t something that most people would describe as fun. But a handful of riders last week had a different experience when an artist temporarily installed a swing that commuters could play on as they rode. Perth couple Megan Grant and Michael Hayward’s all-weather surprise wedding ceremony on a metro train carriage last Sunday went off without a hitch. “It’s got a nice long aisle to walk down and lots of windows with natural light and everyone can sit down and we thought — why not?. 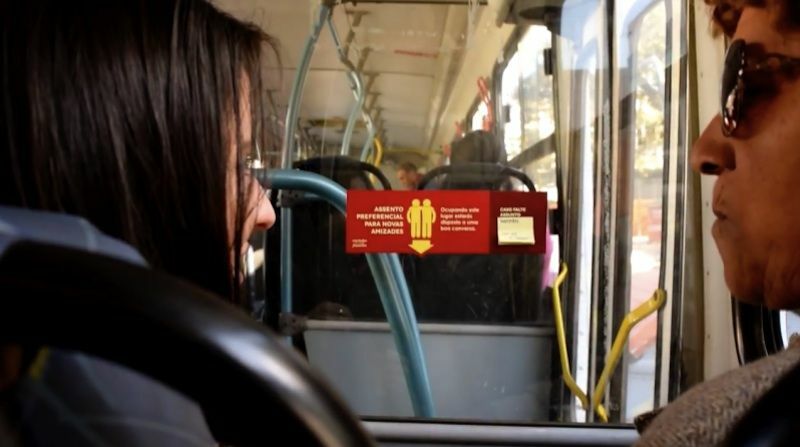 The Feeding Friendships campaign was developed by marketing agency Mark+ and is targeting the unsocial environment by placing stickers that encourage the passengers to meet the people occupying the seats right next to theirs. This “social experiment” is being conducted in Pelotas, Brazil.